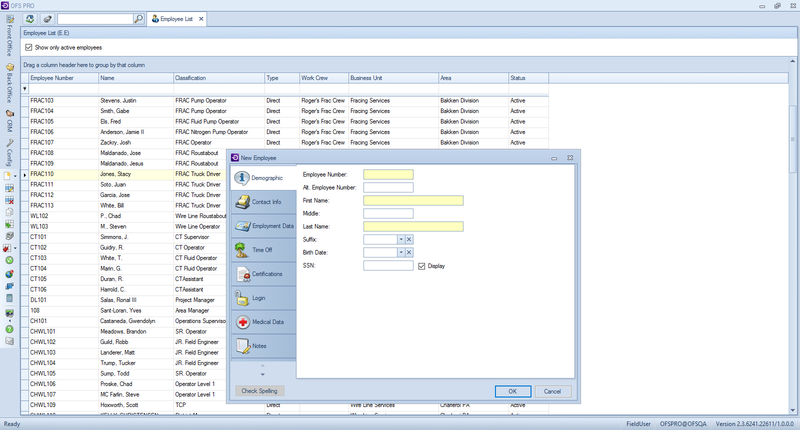 Open the “New Employee” window by pressing Ctrl+N in the Employee List, or right-clicking on the grid and selecting New from the menu. All yellow fields in the window are required information, while white fields are optional. On the Demographic tab, enter the employee’s ID number, first name, and last name. On the Contact Info tab, enter the employee’s home address (address Line 1, zip,city, and state). On the Employment Data tab, enter the employee’s classification (see: Employee Classes), their associated business unit, their area in this business unit and their employee type (Direct, General & Administrative, or Indirect). Employees will have access to the areas within business unit defined. Fill in any other optional information desired, then click “OK” to save. 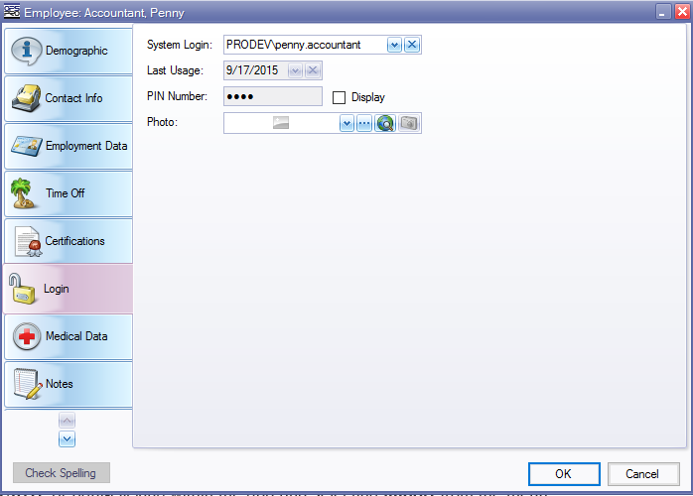 Ensure the employee already has an existing User record (see: Users). On the Employee List grid, create a new employee or navigate to an existing employee. Open the “Login” tab. Under the “System Login” field, find the Username assigned to the employee. Enter a PIN (used for electronic signatures of documents). Open the “Import Employee List” window by pressing Ctrl+I, or right-clicking within the grid and selecting Import from the menu. Click the “Browse” button in the upper-right corner and select the Excel (.xls, .xlsx, .csv) file to import. Click the “Load” button next to the “Browse” button. Verify that the file is correct and has no errors. Click “Import”. A progress window will show up. Once the import process is complete, click “Done”. Navigate to the Work Crews screen (Front Office->Scheduling). 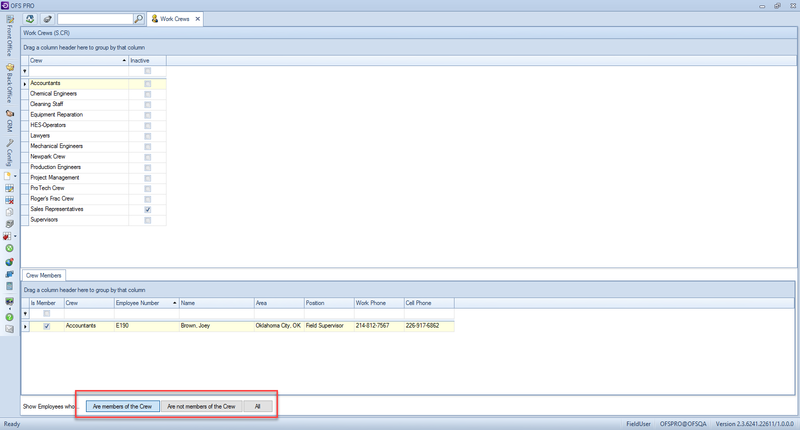 Open the “New Work Crew” window by pressing Ctrl+N, or right-clicking on the grid and selecting New from the menu. Type the name for the new crew and click “OK” to save it. In the main grid, select the new crew to which you want add employees. In the sub-tab “Crew Members” click on the All button to see a complete list of all employees. Click on the “Is member” flag to include employees in the selected crew above. Note that an employee can only be in one crew at a time.